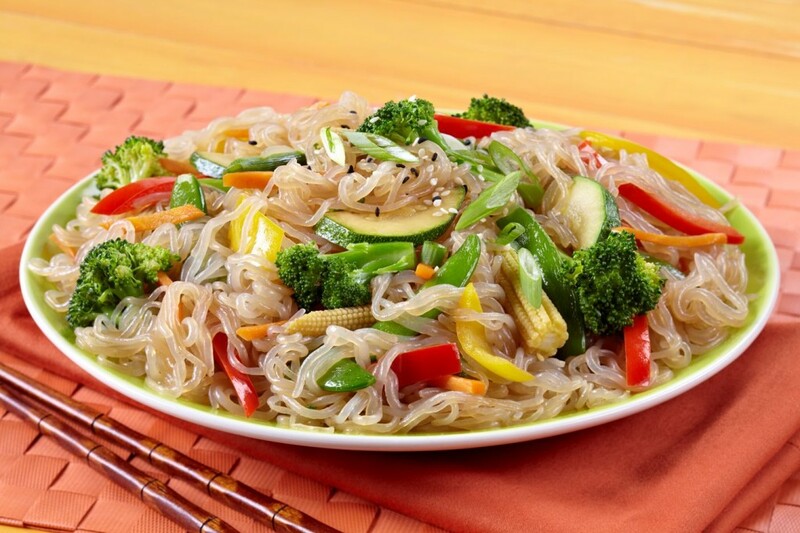 Loaded with heart-healthy veggies, this lo mein recipe serves 4 for a simple yet satisfying meal! To make the sauce, in a medium bowl, stir to dissolve bouillon in 1/2 cup hot water. Add soy sauce, cornstarch, and sugar, and stir until cornstarch dissolves. Bring a wok (or large skillet) sprayed with nonstick spray to medium-high heat. Add all ingredients except noodles and sauce. Cook and stir until all veggies are hot, 5 – 7 minutes. Add sauce and cook and stir until thickened, about 3 – 4 minutes.